BRAND NEW ROOF!!! CHARMING, turn-key home on a highly coveted GOLF LOT in BEAUTIFUL Cedar Creek/Cedar Glen! GORGEOUS dark hardwood floors flow throughout the open concept main level! HUGE KITCHEN w/pull-up counter seating, granite counter tops, ample cabinet space & stunning view make this a chef's dream! Master retreat boasts stone fireplace and private spa-like en suite w/heated floors! INCREDIBLE LOWER LEVEL for entertaining at the full service bar/rec room AND enjoying movies w/the family in the media room! K-10 to Cedar Creek Parkway - South on Cedar Creek Parkway to S. Cedar Niles. Turn right on S. Cedar Niles Blvd to W. Cedar Niles Circle. Turn right to property. 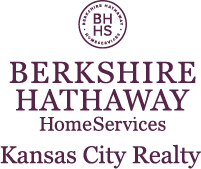 I am interested in 26330 W Cedar Niles Circle, Olathe, KS 66061.